Joe Simon and Jack Kirby are two popular names in the comics industry for good reason. Their partnership has created enduring heroes, like Captain America and gave comic book readers a reason to be excited. They are also the first to create the double-page spread. 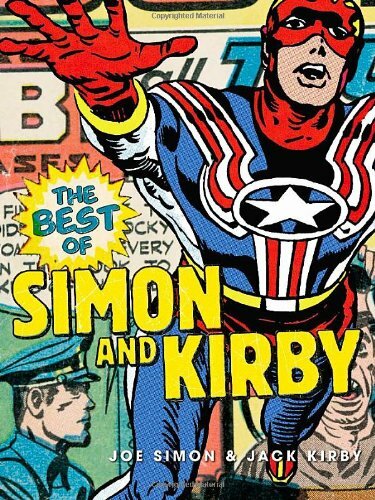 The Best of Simon and Kirby is a selection of stories restored from scans of the original comics. The restoration is great and brings us back to the days where background colours are rendered in halftone dots. The few genres in this book includes superheroes (of course), sci-fi, war, romance, crime, western, horror and humour. There are 26 stories. Within these panels, the greats show us how comics are done in the past, why they became American popular culture. Readers who grew up reading these comics should find them nostalgic. This is a large hardcover book with dust jacket. It seems, from what I've read, that this is the beginning of a planned collection of the entire Simon and Kirby Collection. This book is for those into classic comics.